As of now can view two new map layers - OpenStreetMap and OS Maps - on sketchmap.co.uk, as well as greenbelt land for the whole of England. We have added OpenStreetMap (OSM) with MapBox customisation to give the map a clean and attractive look. OSM was inspired by the success of wikipedia and contains crowdsourced contributions from thousands of users around the world. 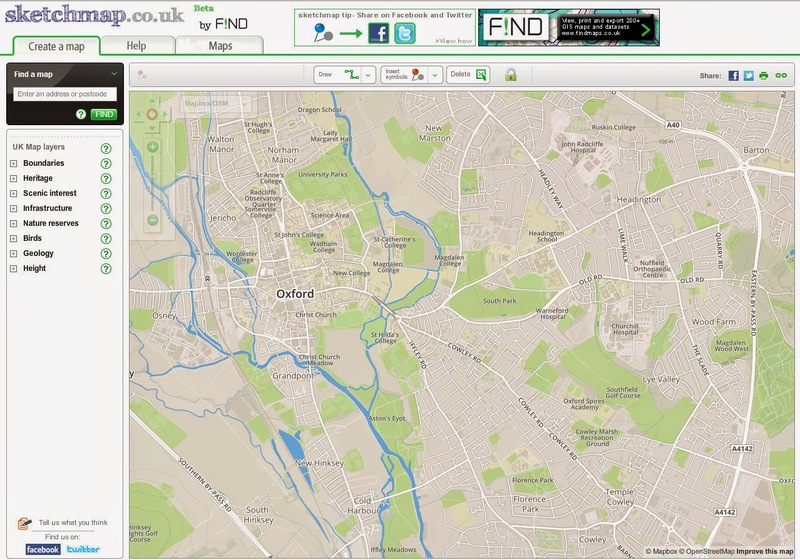 To view OSM on sketchmap go to the top-left of the map screen and select ‘Mapbox/OSM’ from the dropdown. Two classic |OS maps, Explorer and Landranger, can now be viewed for free on sketchmap. To view the OS Maps on sketchmap go to the top left of the map screen and select ‘OS Maps’ from the dropdown. You will need to be zoomed into the map at least half way to view these maps, as they do not display at higher scales. The OS Map will automatically switch to the more detailed 'Explorer' map at lower map scales. We have added a boundary layer of all official greenbelt land for the whole of England to the ‘scenic interest’ map layer section on sketchmap. To view greenbelt land just expand the scenic interest layers and tick the box next to ‘greenbelt land’. Last week, a massive 1000lb bomb was detonated by the Army after construction workers discovered it on a site near Tower Bridge. This discovery underlines the importance of Unexploded Ordnance (UXO) assessment during building development. Before the bomb was removed by the Royal Logistics Corps it had caused massive disruption to the area. Both police and fire brigades attended the scene to evacuate hundreds of local residents, including two schools and a number of businesses. WW2 UXO site contamination clearly remains a problem for many construction and development projects in the UK. By the end of the war London had become the most heavily bombed city in Britain. Between 1940 and 1945 there were a total of 71 ‘major’ air raids on the city, resulting in an estimated 190,000 bombs dropped. Much of this did not explode and remains hidden underground. Encountering UXO on a project not only exposes personnel to risk, it also results in delays and increase costs. According to the Construction Industry Research and Information Association (CIRIA), between 2006 and 2008 15,000 pieces of ordnance were found on UK construction sites, of which 5% was still fully functioning. CIRIA has developed a set of guidelines (CIRCA C681) on dealing with UXO risk. These recommend an initial review of potential sources of UXO. In partnership with BACTEC, FIND offers a specially tailored instant online report - BombRisk - for just that purpose. BombRisk means that builders and developers can now access instant UXO risk assessments at the planning phase of a project. The report uses a unique nationwide geospatial database of known UXO risk factors and locations. These include not only unexploded bombs dropped during air raids, but also arms and munitions abandoned on land used for training, storage, testing, military establishments, defensive positions, decoy sites, and minefields. A BombRisk report acquired early in the development cycle provides reassurance on UXO risk for a site and fulfils all industry standard CIRCA for Phase 1 Preliminary UXO Risk Assessment. BombRisk reports are available for £175 per site. FIND is pleased to announce a new partnership with the National Map Centre (NMC). FIND’s web mapping technology now powers NMC’s refreshed mapping and data system, replacing their existing e-commerce mapping delivery system. The new National Map Centre website – www.mapsnmc.co.uk – has now been completely refreshed and features an online mapping system provided by FIND. 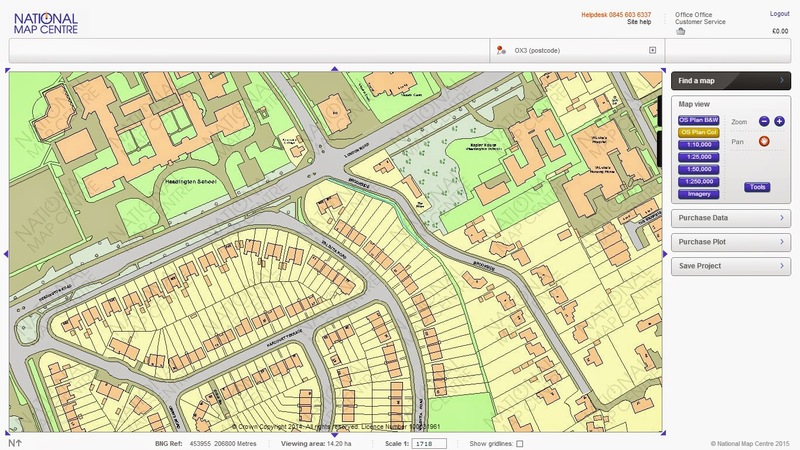 Through the site customers can register and instantly download Ordnance Survey map data and create plot ‘prints’ used for a variety of planning purposes, as well as annotate maps with a range of easy-to-use tools. National Map Centre provides mapping services, in addition to its website, at its own centres and through an extensive network of partners throughout Britain. FIND’s mapping system will be used at both over-the-counter service and through the NMC website. SuiWin Hui, Head of Consultancy at FIND, said: “Working closely with the NMC we’ve developed and delivered a mapping system that works for them and for their clients. We’ve also ensured that the system has the capacity to grow as the NMC expands its range”. Simon Lewis, Managing Director of FIND, commented: "FIND is all about delivering solutions for users of complex spatial data. It’s been extremely satisfying to work with the NMC and provide the engine for their new site. But our technology delivers much more than an upgrade for the NMC’s website it’s the foundation for a long-term relationship from which both companies will undoubtedly benefit." 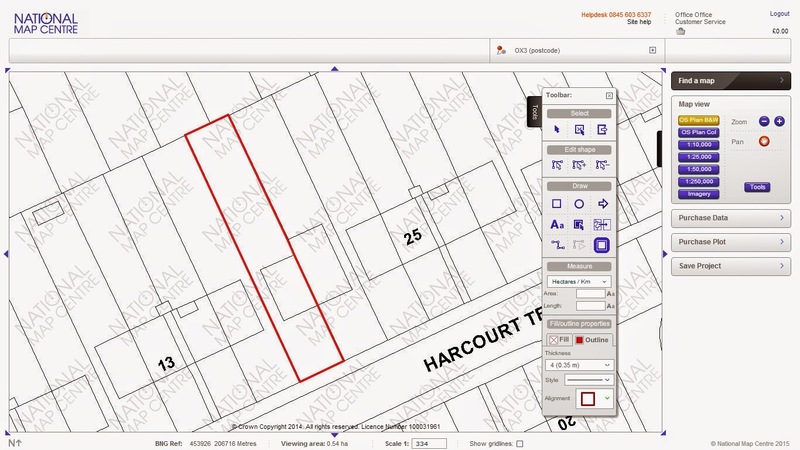 Site search by postcode, coordinate and address. Advanced ‘desk-top GIS’ annotation tools including buffering, ‘node’ tracing and shape-joining.